… but don’t forget to like my Facebook page! Wisecracks and interweb snippets abound there. You will love it. I promise. Just click on the beer baby. 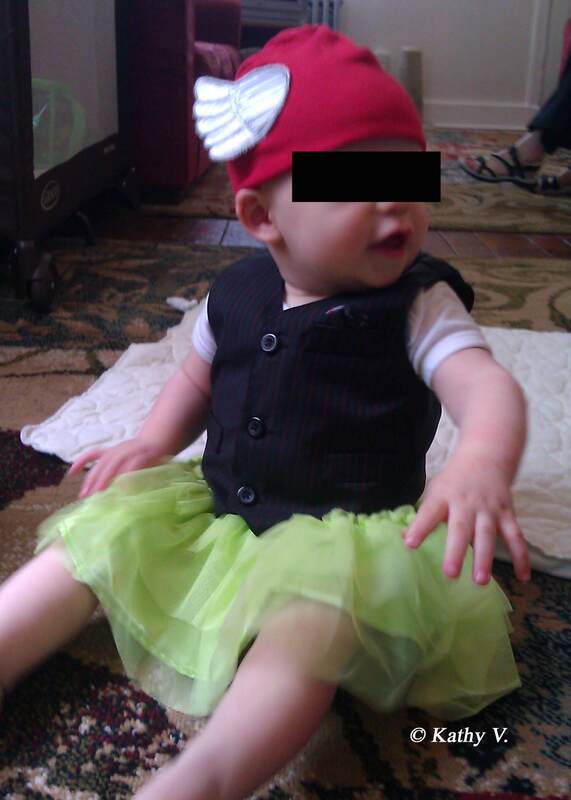 Baby’s birthday party yesterday went off without a hitch. Well, without any major hitches, anyway — yeah, the weather didn’t completely cooperate, and my mother-in-law had to make a last minute run to the store to get soda, due to the fact that I had been so focused on beer and wine that I had COMPLETELY forgotten that there are people in the world who don’t drink, and that I’m related to some of them. BUT. Beer and wine were drunk (though we have lots of leftovers — who’s up for a random mid-week drink-fest? I know I am!) Cupcakes were consumed. Baby decided that he’s not so much a fan of cupcakes (a fact that makes this Mama pretty happy, lemme tell ya). Presents were opened, chewed on, flung around, and tossed aside. It was a blast. Sausage in his birthday outfit! Thanks to Dotty Headbanger of the hilarious Notes From A She-Hermit ©™® for my dear little Sausage’s new name! Dotty, you win … um … my gratitude? A crumpled Star Wars napkin with smudges of icing on? A dust bunny the size of a schnauzer? Sigh. I’ve got nothing. Hopefully, you will be pleased at having been chosen, and at getting upwards of one whole hit from my having linked to you. Huzzah! And since this did at least start out as a food blog (no matter what direction it has since gone in), I want to share with you the wonderful recipe I used for our birthday cupcakes yesterday. Many thanks to Cauldrons and Cupcakes for this recipe! Click here for the original recipe — a lovely, cake-y banana cake with butter frosting, very conveniently noted in both metric measurements and our backward provincial American ones. I adapted it a little to use ingredients that I already had, rather than purchasing new things just for one recipe, and I also adjusted it to be cupcakes rather than a loaf cake. Preheat your oven to 350°F. Line a cupcake pan with those ruffly cupcake papers. Or you could grease and flour all those little cups, but seriously, who wants to do that? Cream the butter and sugar together (here’s a link that will tell you what that means and how to do it — I had no idea). Use the electric mixer, because again, we are not masochists (unless we are, in which case, you know, go for it). Add the eggs one at a time, beating well after each addition. Peel the bananas and mash them in a bowl with the vanilla. Dump this into the butter mixture and use the beaters to combine well. Sift the flour, baking powder, and baking soda into the bowl with the banana and butter mixture and use a spoon to gently combine. Do not beat, just fold through. Bake for 25 minutes, then check for done-ness with a toothpick. If they’re not done, keep cooking in five minute increments until they are. I used two different pans, and the cupcakes in one were done after 25 minutes, while the others took five minutes longer. Beat the butter until soft and creamy. Gradually add the powdered sugar (seriously, do it gradually, I screwed up and added it all at once and it made everything much more difficult) and the cocoa, adding the milk to get a smooth consistency. Taste it to see if you want more cocoa. Then taste some more, to make sure it’s right. Then lick the beaters. IT WILL BE DELICIOUS. MAKE SURE THAT YOU LEAVE SOME FOR THE CUPCAKES. 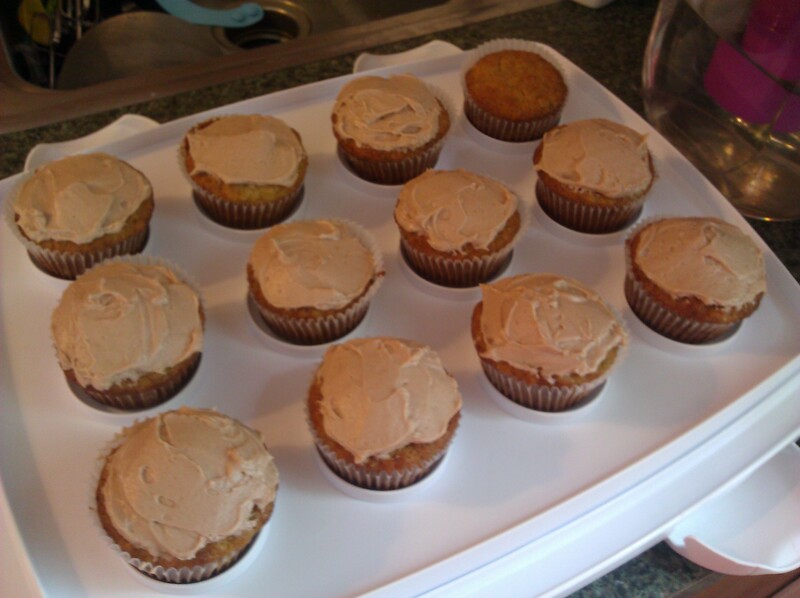 Make sure that your cupcakes are cool before you frost them. Mmmm, cupcake-y wonderfulness! 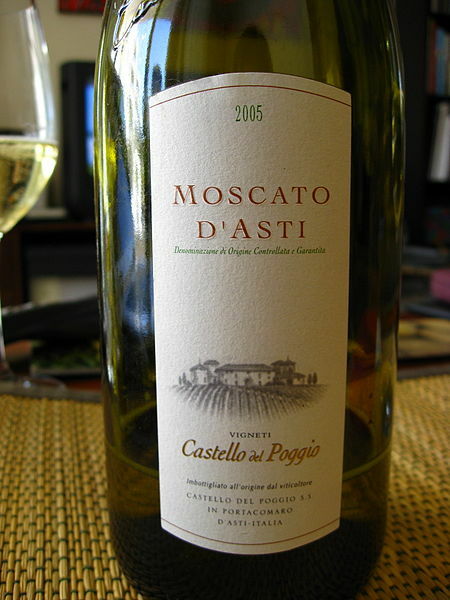 A nice Moscato D’Asti makes an excellent pairing. After all, it’s not a children’s birthday party if the adults aren’t all slightly hammered, is it? What are your favorite birthday party treats? I have started a Facebook page for Don’t Forget To Feed The Baby! Now you can be alerted to all my non-sensical ramblings right in your newsfeed! Hooray! So just go right on ahead and click that little ‘like’ button in the left-hand column. Just move the mouse a little to the left … no, no, the other left … now down a little … see it? Good. Click that sucker! So come visit me on Facebook! Please?